today I'm sharing an outfit I wore last week. It has all my favourite things together; lace, leather and pearls. The white lace peplum top is from H&M. The pearl necklace is from Primark. The black tank top is from H&M. The grey socks with lace details are from Urban Outfitters. 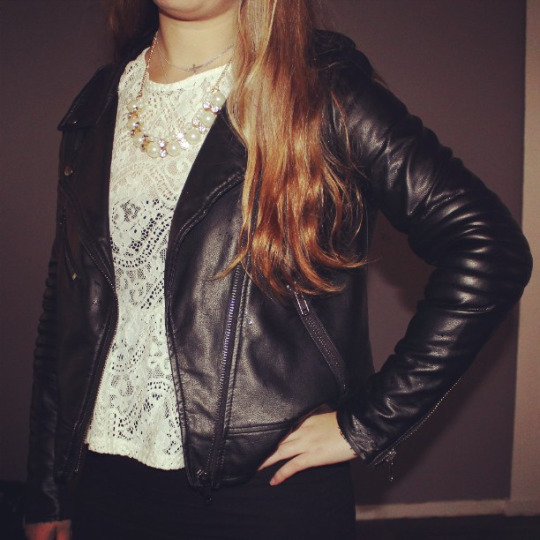 The leather biker jacket is from H&M. And the shoes are from Marco Tozzi.